I’ve been gone for so long, being a busy mom to a preschooler will do that to you. Over the past few years, my daughter and I have managed to conquer potty training, have weaned and we took on the giant task of ending co-sleeping (we’re still working on that lol). My big girl now goes to Pre-K and we’re applying for Kindergarten. Writing all this down makes me realize HOW QUICKLY TIME JUST FLIES BY! It seems like only yesterday I was holding my infant and now my daughter is dressing herself and has friends. WHAT? How did that happen? One good thing is that I have a bit more time to blog…so this year you can expect posts about a variety of different topics…if anyone out there is reading and has any suggestions, comment below. Let’s talk about any and everything! It’s Cinco de Mayo and it has me thinking…. I have to start speaking more Spanish to my daughter. I want her to know Spanish. I want her to read and write it, not just speak it. My first language was Spanish. My mom is a hard working immigrant who knew (at the time) just enough English to get by, but spoke to almost everyone in her life in Spanish. So speaking Spanish was never a question for me. When I was around 8, my mom would force me to sit at the kitchen table and she taught me how to read and write in Spanish. The purpose of this was so that I would be able to write letters to my relatives in Ecuador (back in those days long distance phone calls were rare and we actually had to write letters…imagine that). Fast forward to this very moment….I currently work as an account manager at a financial services firm and the main reason I was hired (other than the fact that I’m awesome lol) is because I am completely fluent in Spanish and the position calls for someone to interact and manage Latin American clients. BOOM! So basically you can say that because of my mom I have my nice job today. I did thank her and got her a gift FYI. I would like for my daughter to grow up the same way, but I realize that it’s quite different for me. For starters, I’m American. I was born here in the USA. My main language is not Spanish. 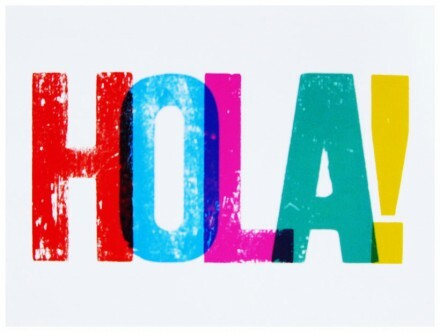 I don’t speak Spanish to anyone other than my family and even that is Spanglish) and to my clients. In my day to day life I speak English. I think in English. I dream in English. I curse in English LOL! Overall, I feel more comfortable speaking in English pero tambien soy una Latina muy orgullosa. So this makes me realize that I have to make a conscious effort to speak to my daughter in Spanish. I will have to sit her down at my kitchen table once she’s old enough. I will have to teach her the importance of knowing Spanish, not only because it will open many lucrative opportunities, but because it’s a direct and distinct tie to her heritage. She’s the daughter of very proud Latinos, and even more than speaking Spanish, I want her to grow up feeling prideful of her roots. Is this something you think about? I’m very interested in hearing my fellow Mamis opinions on this matter. Enjoy the afternoon my loves! I hope you’re all well, I myself am completely and totally ill. This whole week has been torturous. I started off Monday with a sore throat that was diagnosed as viral pharyngitis but now on Friday evening it’s developed into an upper respiratory infection. I feel like a train has ran over my body and stopped right on my chest. I haven’t been this sick in years. I might catch a little big here and there but I always keep going and don’t let it disrupt my normal mami duties. UNTIL this week. I have left work early everyday to sneak into my relative’s empty apartment to sleep and recover because being at home meant taking care of my little meatball. I feel really guilty about doing this but I also feel like if I didn’t do it is probably be in a hospital right now. I guess this week it hit me just how challenging it is being a single parent. Of course, I have a ton of support (including meatball’s dad) but the minute I walk through my door, my daughter is my responsibility. I can’t let my sitter aka Abuelita take care of her in the evening also. She needs a break as taking care of my little meatball is NO EASY TASK! She’s not even 2 yet and she’s already in her terrible phase and it shows no sign of letting up. Being a mami has been the best and most rewarding experience of my life so far but it’s also incredibly challenging especially today, especially this week and I’m sick. It’s terrible I don’t know how my mom did this. 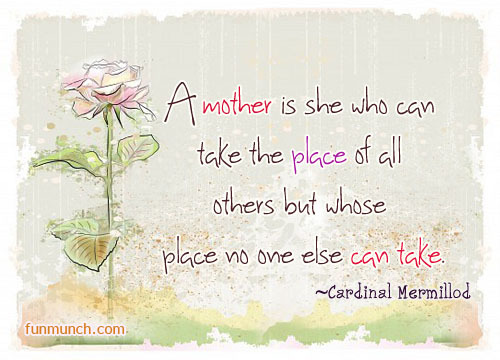 Kudos to all of you strong single moms who take care of your kids to matter what. This is not easy especially with a turned up toddler! Okay good night stay strong single mamis and share your thoughts below!